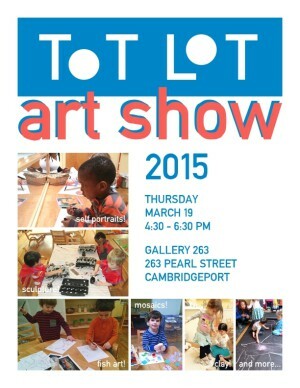 Gallery 263 is pleased to host our sixth annual Cambridgeport Children’s Center (aka Totlot) exhibition. We welcome the work of these little toddler and preschool-age artists, and invite their families and the community to Gallery 263 to enjoy the work of our local youngsters! The Cambridgeport Children’s Center’s (CCC) mission is to provide a nurturing and inclusive early childhood educational experience based on a Reggio-inspired philosophy that values diversity and respect. The CCC actively promote partnerships between children, families, teachers, & the community.